When it comes to finding just the right color, creatives are a fickle bunch. Myself included. 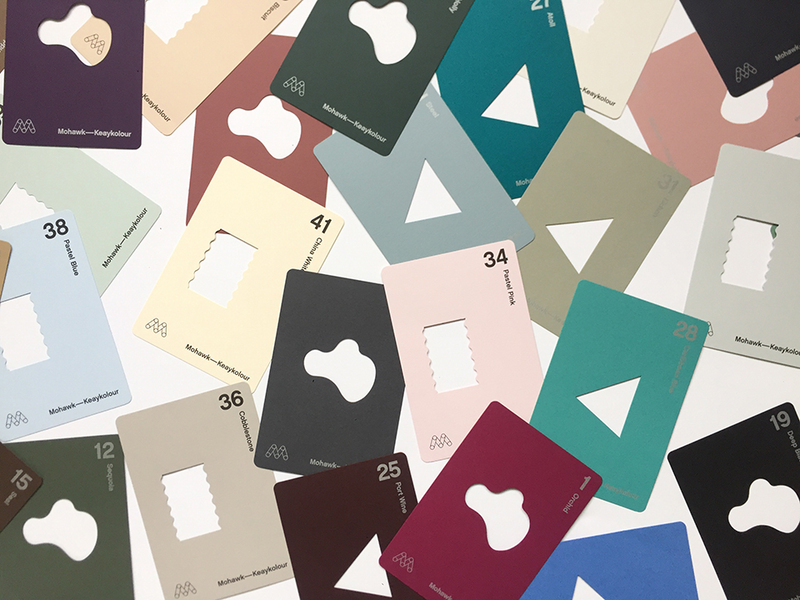 And while it’s never been easier to find beautiful paper options for print projects, the one thing I hear repeatedly from the design community is that finding that “perfect” color can be challenging. Especially when it comes to on-trend color palettes like teal, blush and those dusty shades of blue, pink and green. 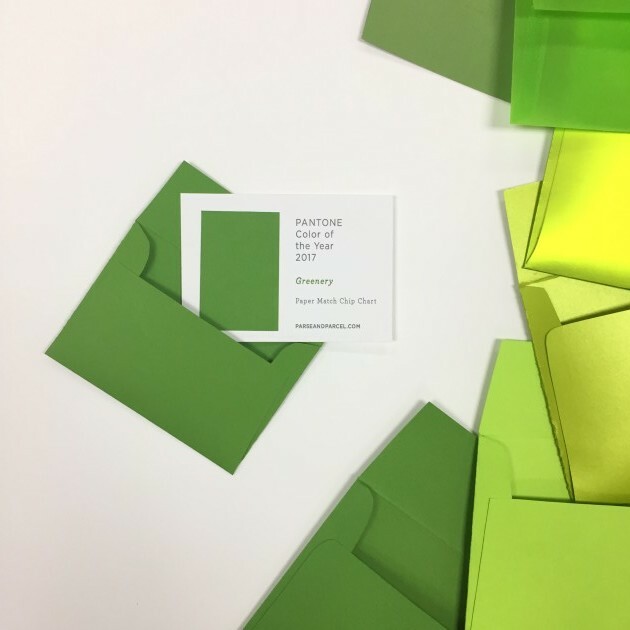 Add to that the frustration creatives experience after finding the perfect color only to learn it’s not available in both cover and text weights, which is essential for projects like invitations and announcements. Well, I’ve got some good news. Dreamy color palettes await designers, as Mohawk launches Keaykolour in North America! When it comes to developing a retail brand, most designers will tell you the devil is in the details. Making sure brand identity and messaging connect with its audience involves many elements that require thoughtful attention to detail – especially print collateral. In fact, it is scientifically proven that consumers form powerful, emotional connections through touch. It’s called haptics, and when thoughtfully incorporated into a retail brand’s print collateral, it has the ability to turn customers into brand loyalists. And Neenah is leading the charge, inspiring a revolution of sorts with its newest promotion. 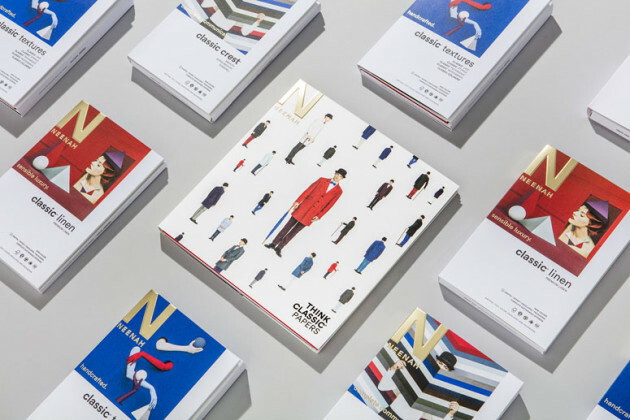 CLASSIC® Retail Revolution is a resource for designers working with retail clients to help them see new and unique ways to use printed pieces as a tangible element of today’s retail experiences. So apparently shrieking in the middle of a sales office is a no-no. Sometimes I forget people are actually behind the cubes working as I am walking through to the sample studio. But I couldn’t help it. I just opened up the box Neenah sent and inside were the brand new Touché Papers swatch books. It’s not that I’m unfamiliar with the grade – but this is the first swatch book since Neenah acquired the grade. And I have to say, they’ve made some stunning additions to the offering. 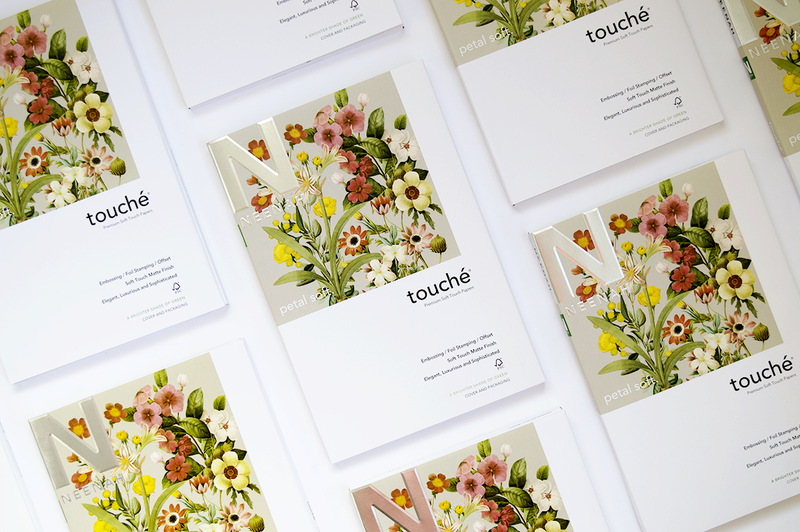 While the colors are gorgeous, wait until you experience the soft-touch finish of Touché Papers. 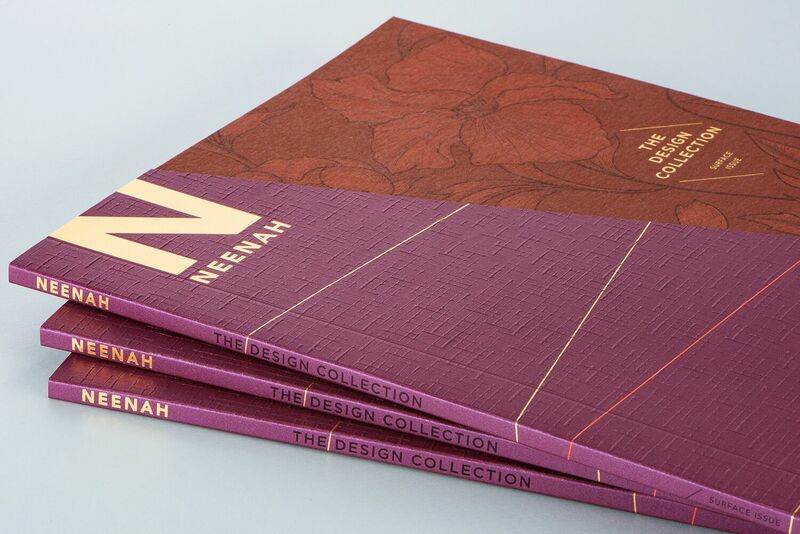 The Design Collection by Neenah features luxuriously tactile and colored papers available for commercial printing. It houses 15 different papers in one place, and features a richly colored grades like Stardream, Esse, Oxford, So…Silk, Plike, Slide, Astroking and Wild. That’s only half the story. Texture is the other word synonymous with The Design Collection. With finishes like Canvas, Felt, Pearlized, Heavy Vellum, Hi-Tech and Diffused, creatives have plenty to choose from. Options are good, right? Sometimes it makes it difficult to decide exactly what paper to use with a specific technique. That’s one reason why we love samples so much. Creatives and clients alike are visual. Thankfully, there’s Neenah’s new lookbook, The Design Collection – Surface Issue. By definition, the word classic means “serving as a standard of excellence : of recognized value.” In other words something that stands the test of time. Neenah’s CLASSIC® Brands have been around for 55 years. And that’s saying something in an industry that’s pretty fickle when it comes to paper grades with staying power. To give you some context, I started in the industry around the same time Survivor first aired. I’ve seen more papers come and go than torches snuffed out by Jeff Probst. So yes, it’s safe to say the CLASSIC® Papers live up to their name. But how exactly does a brand that is so iconic and classic undertake a refresh? 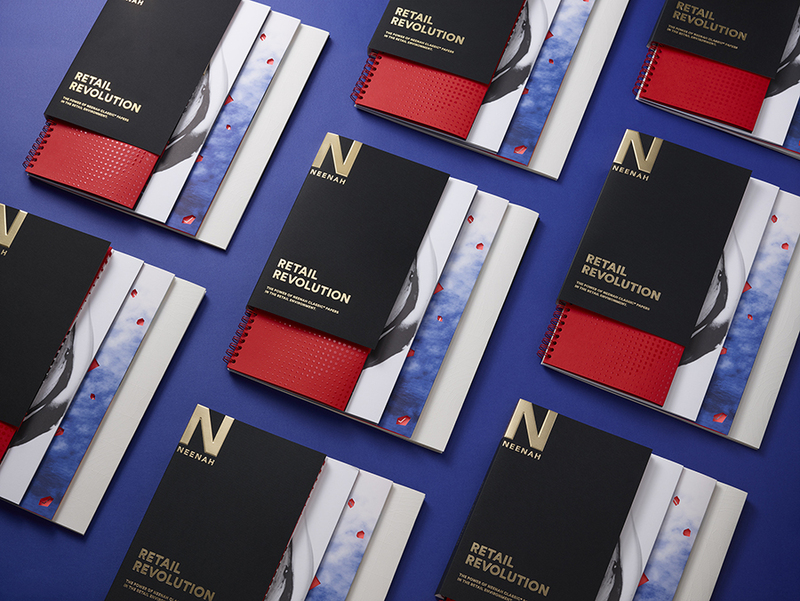 Well, that was a collaborative process between Neenah Paper and Design Army that was a year in the making. I say it was well worth the wait because the results are stellar. For most designers the process of creating is rarely a straight-forward line from concept and completion. Projects might be easier with a clear path to success, the reality is it rarely works that way. And that’s a good thing, life and work are about the journey, not the destination. The route between process and product is often a roundabout one, filled with equal parts joy and frustration. 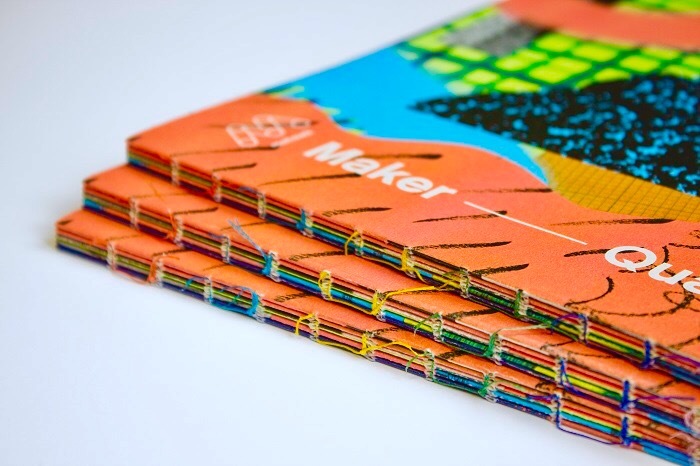 This issue of the Maker Quarterly is dedicated to that process. Designed by Hybrid Design, this issue celebrates the conscious path the makers take on the way to the destination. On top of that, Mohawk goes meta by bringing us inside the process of the making of the Process Issue. Spring is my favorite season. Partly because I live in Cleveland, where it’s gray from October until April. And while I like gray, that is a long time to go with out any sign of life or color to be seen. So when those first shoots of spring bulbs poke their heads through the earth, I get all the feels. That’s a sure sign it won’t be long before the raucous color of spring takes over the landscape. The fresh, vibrant shade of spring green is among my favorite colors of all time. 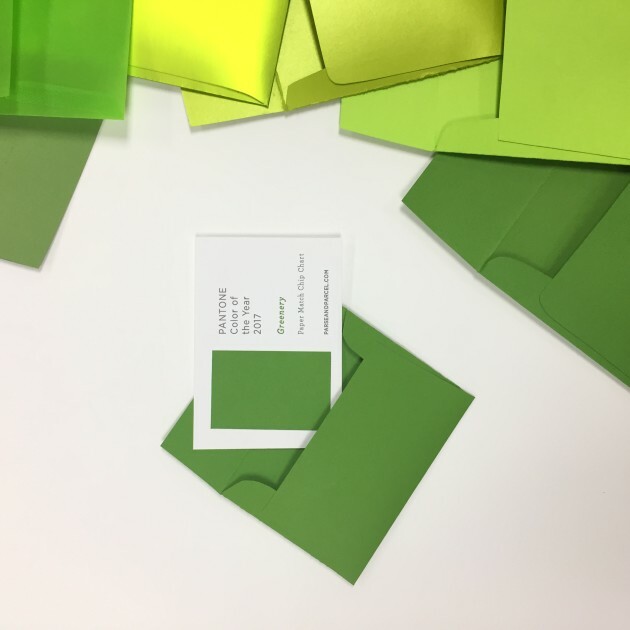 So imagine my delight when I saw Greenery was announced at the Pantone Color of the Year. Part Two –Plus a GIVEAWAY! 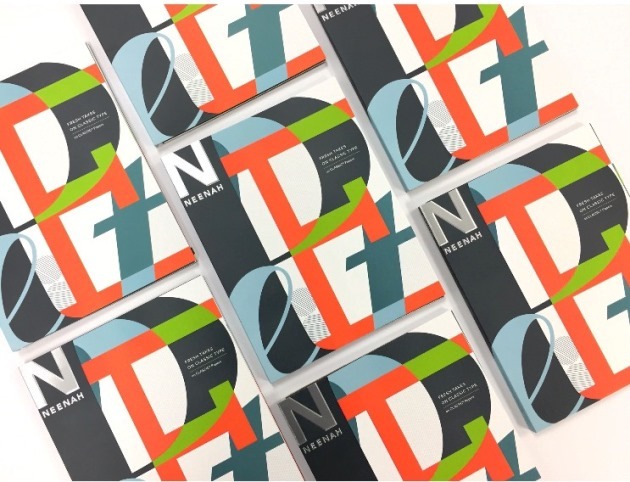 Fresh Takes on Classic Type on CLASSIC® Papers by Neenah is a bold, interactive new promotion designed by Kansas City-based Willoughby Design. 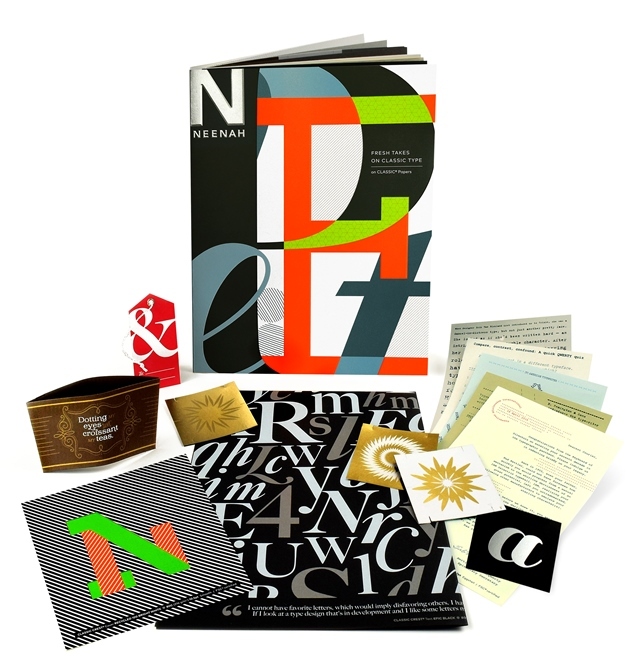 Combining the beauty of type, design and production, the book merges contemporary typefaces and design with the textures of legendary CLASSIC Papers. The 9.5″ x 12″ book features six French-fold spreads featuring an interactive story crafted specifically for each typeface. Each spread contains a pull out, pop up, or put-it-together piece to help tell the story, and a quote from each typeface creator. In our previous post, we shared details an overview of the piece and its debut at our celebration – A Toast to Type. In part two of our series, we take a deep dive into some sweet type, design and production. Part 1 – Plus a GIVEAWAY! It’s a given in design that trends are part of the landscape. Something gets hot and suddenly it’s everywhere (um, rose gold foil). To me the interesting thing about trends is how they build on themselves. And type design is no different. Trends come and go but true classics always inspire. And inspired is exactly how one feels after experiencing Neenah Paper’s newest promotion, Fresh Takes on Classic Type. At first look, I knew P&P had to do something fun to share it with our audience. So we invited a group of local designers to join us in the sample studio for a Toast to Type! A celebration of type, design and paper. When it comes to commercial printing, coated paper is used on the majority of projects. It is considered the workhorse of the print industry. When used thoughtfully, it can be an amazing conduit for beautiful design and production. Printers love running it, and with good reason. It provides a bright, consistently even surface allowing for minimal dot gain, great ink gloss and produces crisp, fine results. Plus it’s fairly easy to run on press. Sounds like a dream, right? But all too often it’s because of these very reasons that designers do not bother to specify coated papers. Most tend to rely on the printer’s house sheet when printing on coated paper with budget driving that decision or give vague specs like a “No.2 coated.” I’ve seen this happen a thousand times. 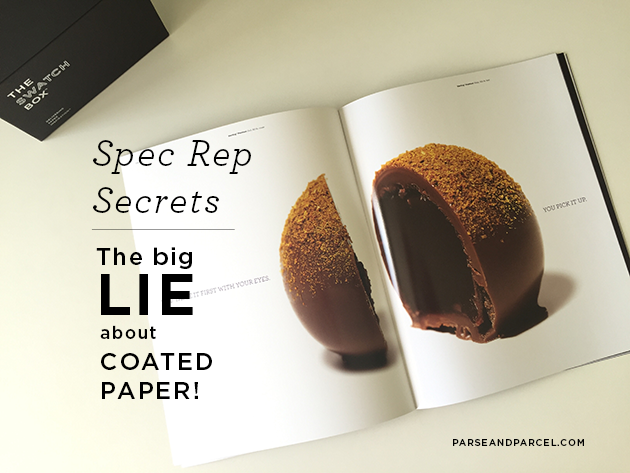 And the big lie about coated paper most designers don’t know is that they’re giving up way too much for little to no real impact on the budget.